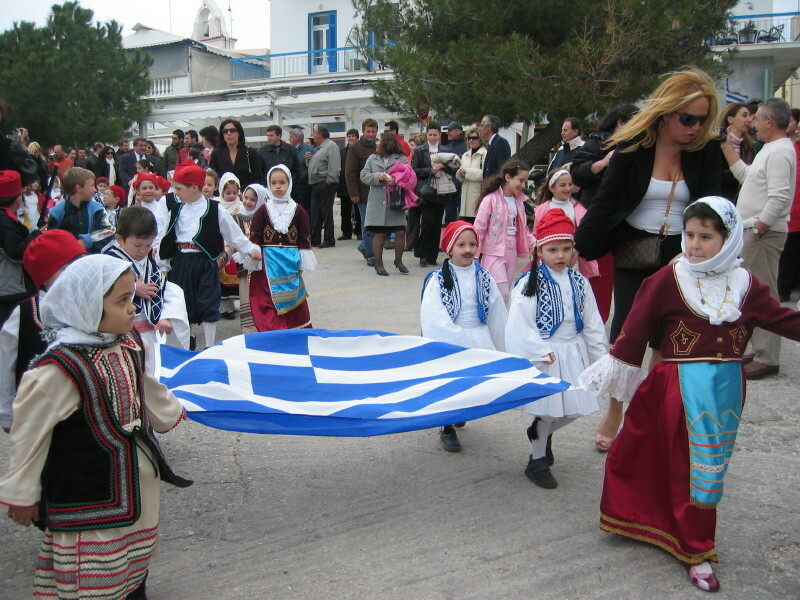 The 25th March is a very important day in the Greek calendar, as not only is it the feast of the Annunciation of the Virgin Mary but is also the Greek Independence Day. 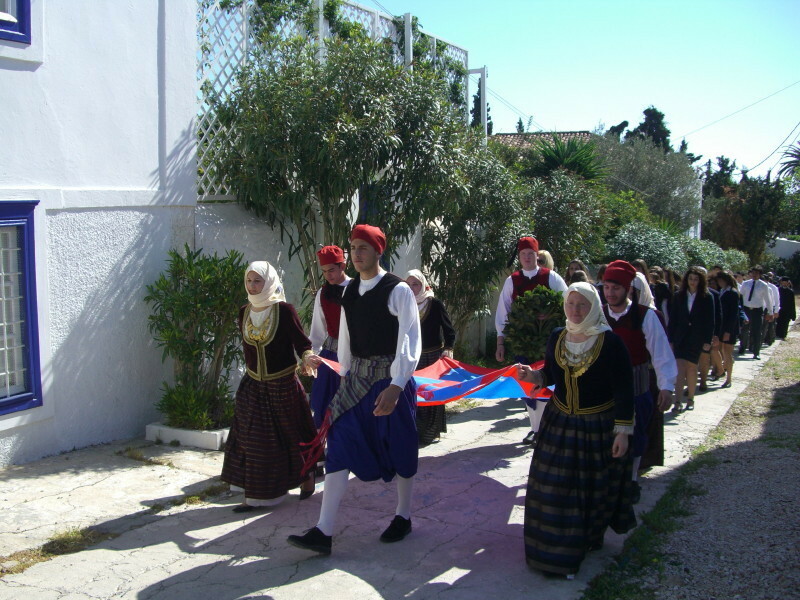 This religious and national, holiday is known as Evangelismós and most people bearing the name of Evangelos or Evangelia will celebrate this day as their name day. 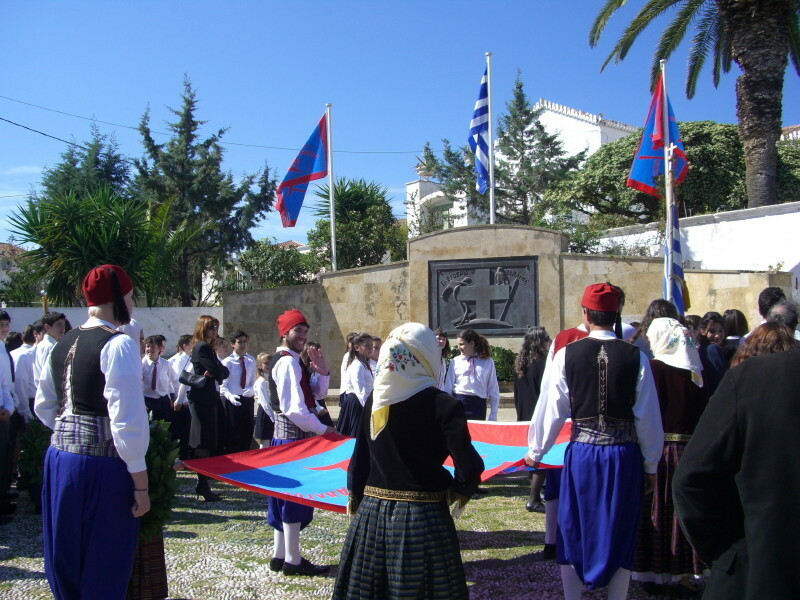 On this day in 1821, Germanos, the Bishop of Patras hoisted the Greek flag in defiance of the Turks at the Monastery of Ayia Lavra. 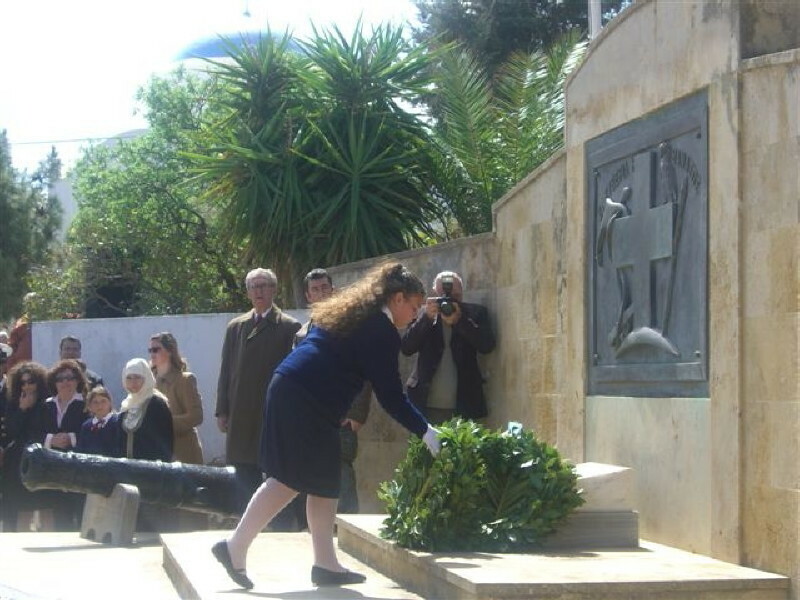 This symbolic action was enough to prompt the War of Independence against the occupying Turkish forces. 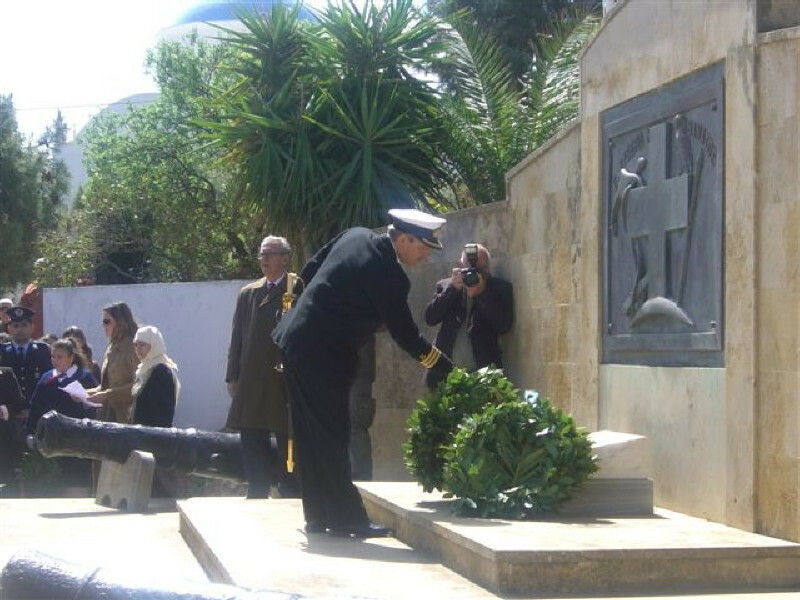 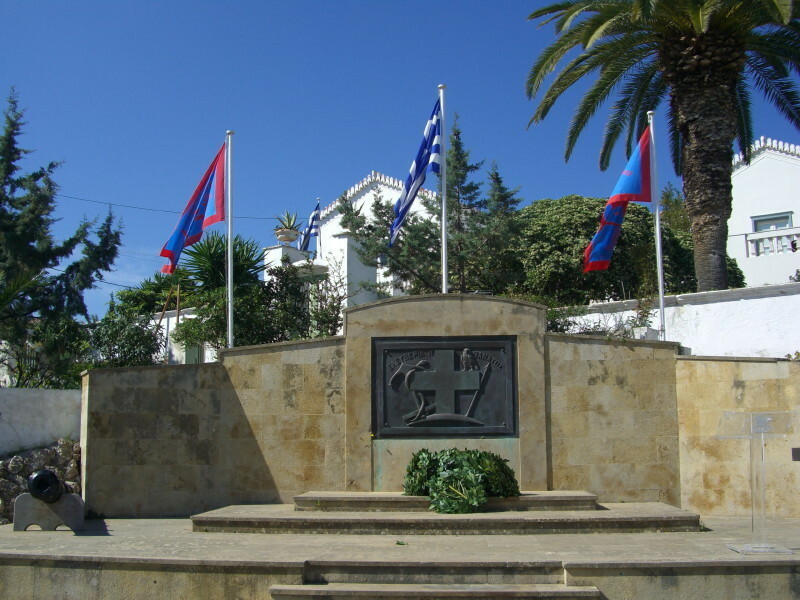 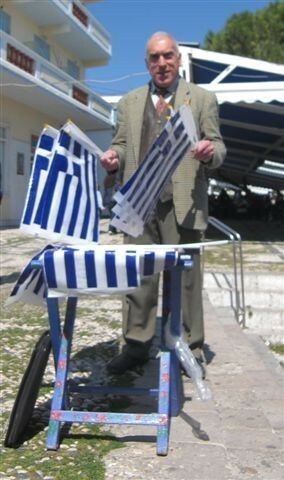 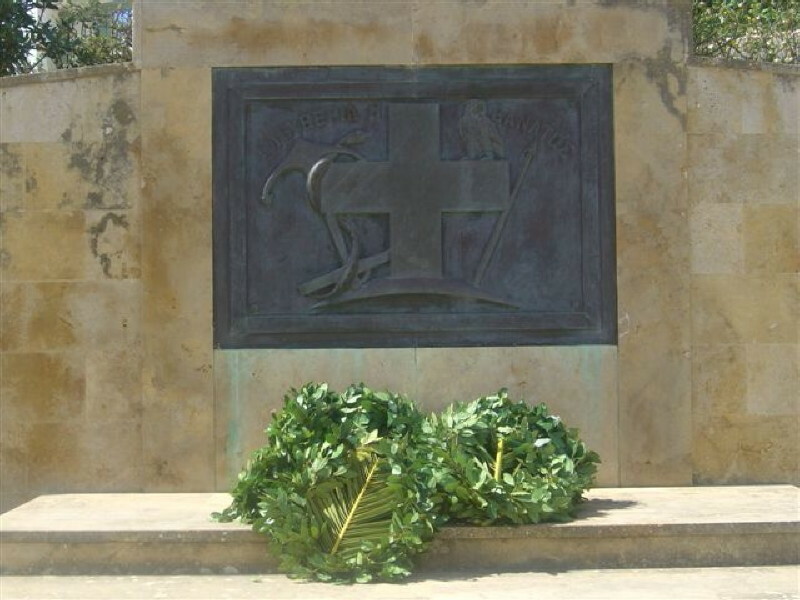 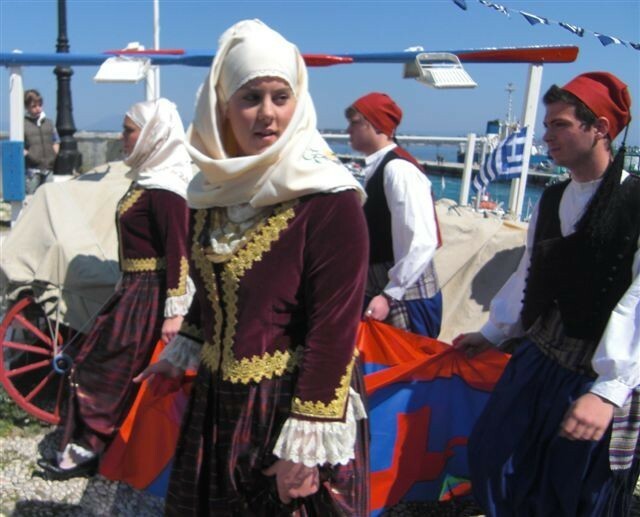 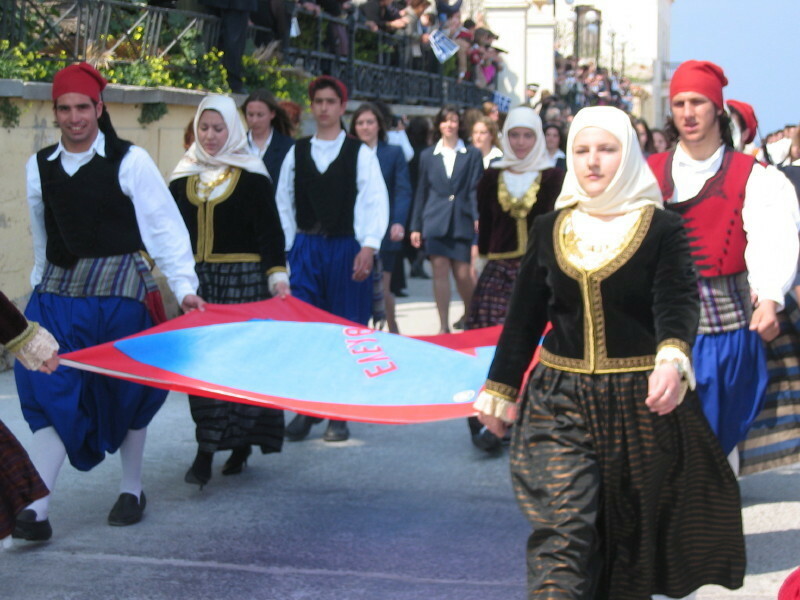 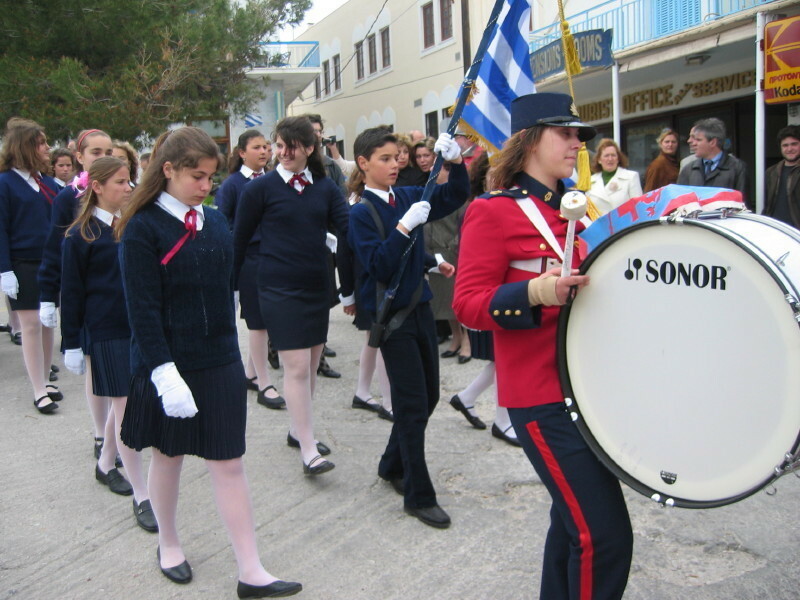 It is a time remembered with church services, parades and wreath laying throughout Greece. 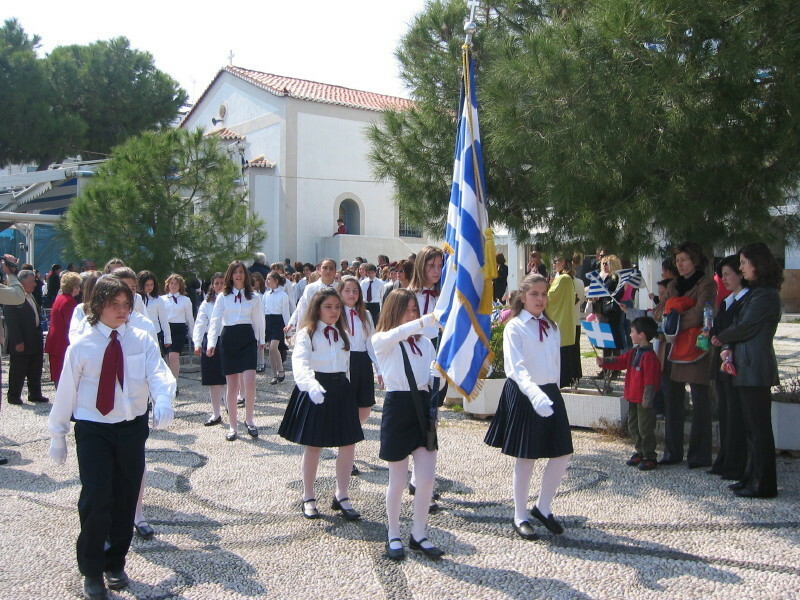 On Spetses all the school children take part in the parade with the top of the class children getting the honour of carrying the national flags. 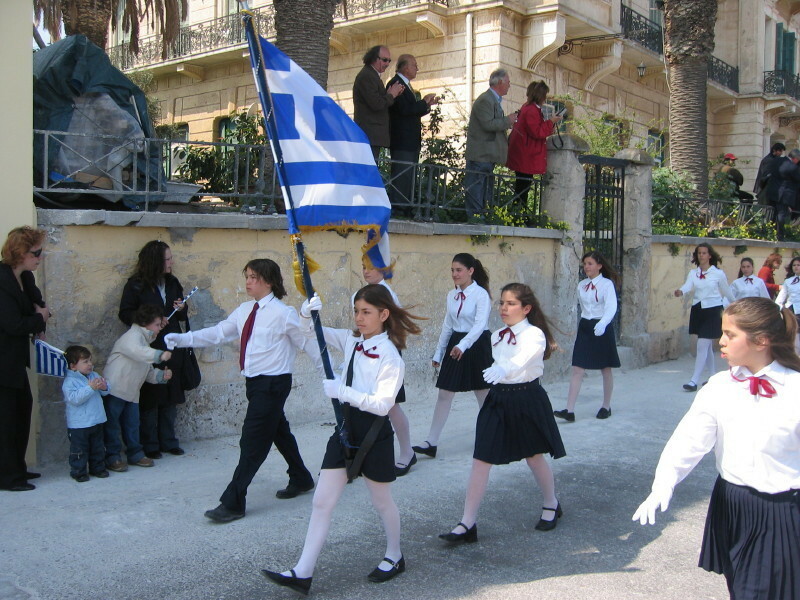 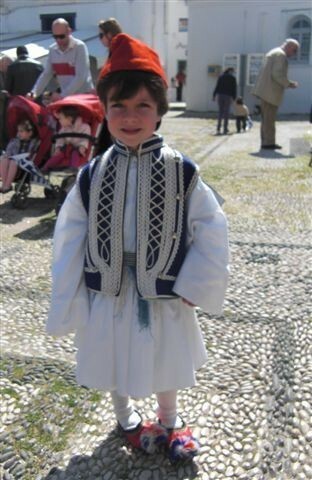 Here the children walk down through the Dapia, across the cobbled stones to the Possidonian jetty where they then will march along the seafront with local dignitories, school friends, parents and siblings clapping and cheering them on. 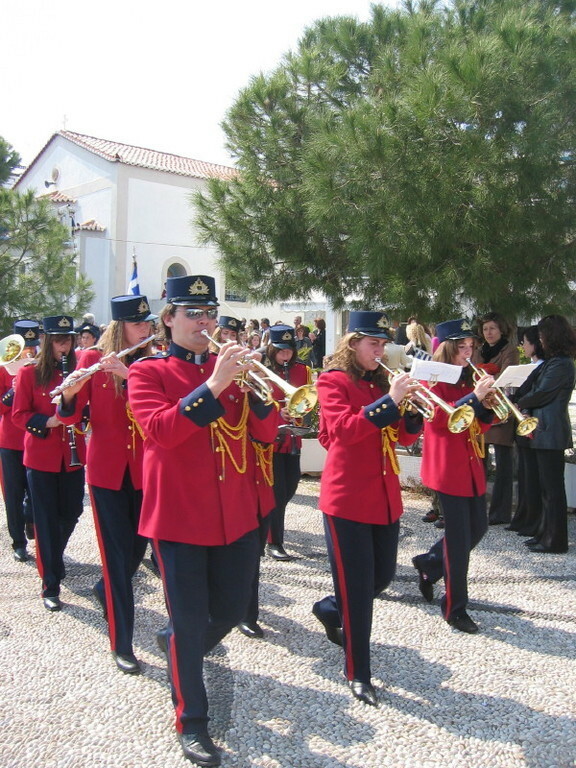 The Spetses brass band usually accompany the marchers and older children play the trumpets and drums too. 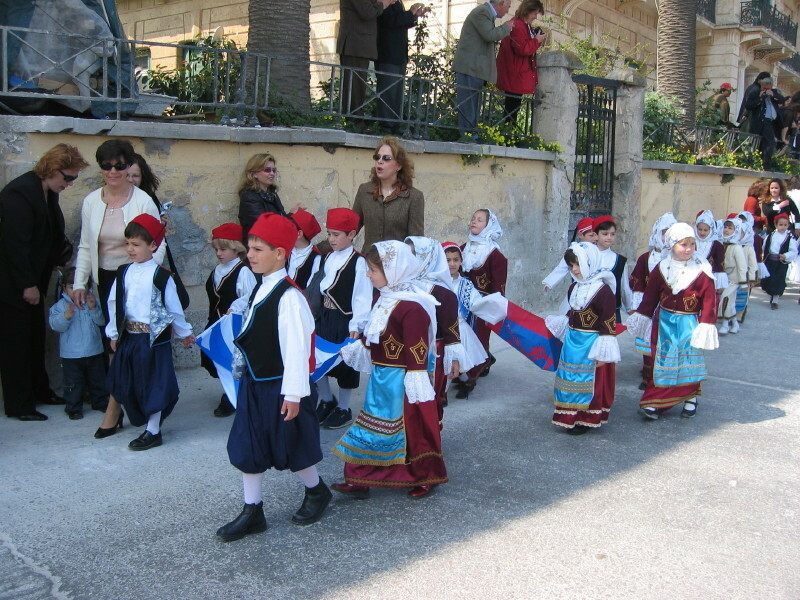 The kindergarten children are dressed in national costume and the little boys get a legitimate reason to make as much noise as possible with their drums which they beat with much enthusiasm. 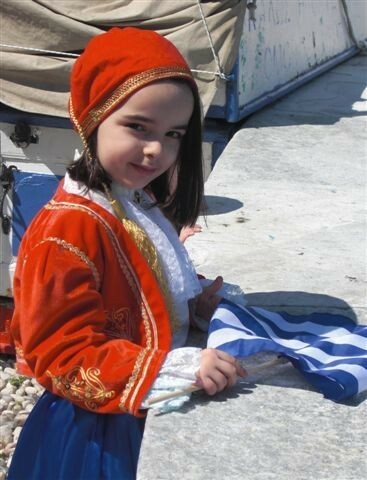 It is a very important event for the schools and also a happy one, as children run with their friends and families to buy ice creams and drinks when the marching is over!